High quality and impressively refined. Luxurious feel to interior. Usefully large boot. Cheaper entry-level model with 2WD. Relaxing to drive in traffic. F Sport models get strange exhaust note symposer. More at home in the suburbs than on twisting A and B roads. 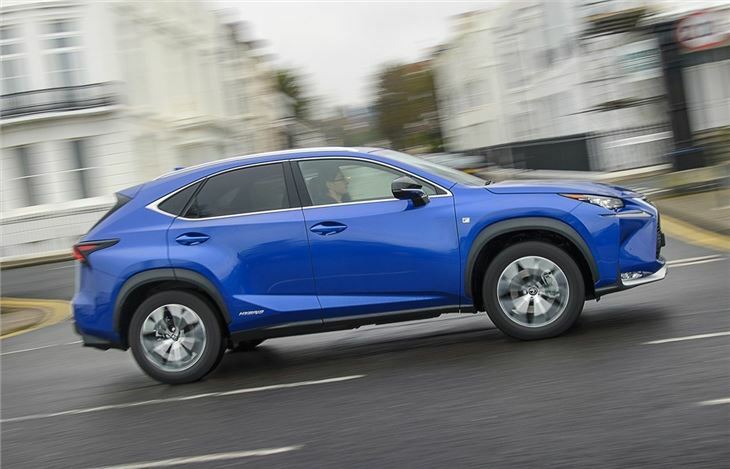 According to Lexus, the story behind the name of its new NX is that it stands for 'nimble crossover'. This is after all a smaller counterpart to the big RX 450h that's designed as an alternative to the likes of the Audi Q5 and BMW X3. It's a neat looking design. 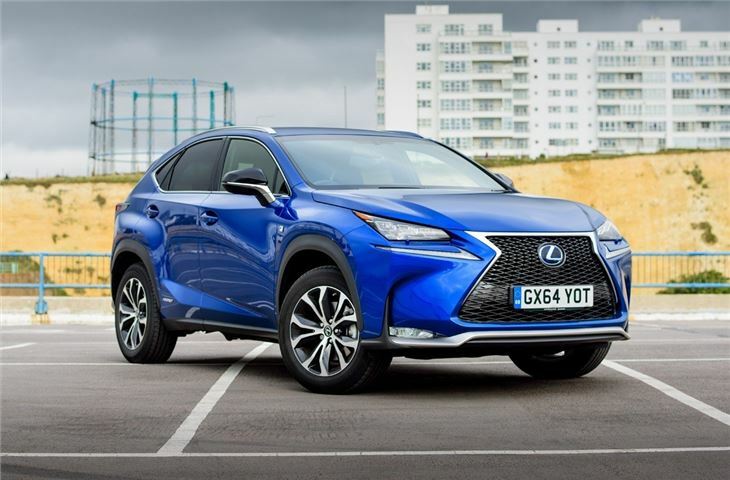 Lexus says it wanted to give the NX more 'emotional appeal' and while it's far from handsome, those sharp lines work well to create a sophisticated look. 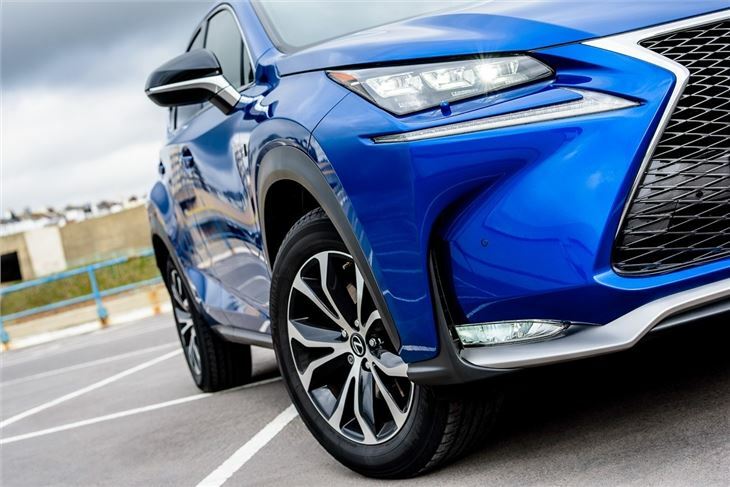 The front end echoes the IS but according to Lexus, 90 per cent of parts used are unique to the NX. Like all Lexus models, there's no Noxious diesel engine in the range. 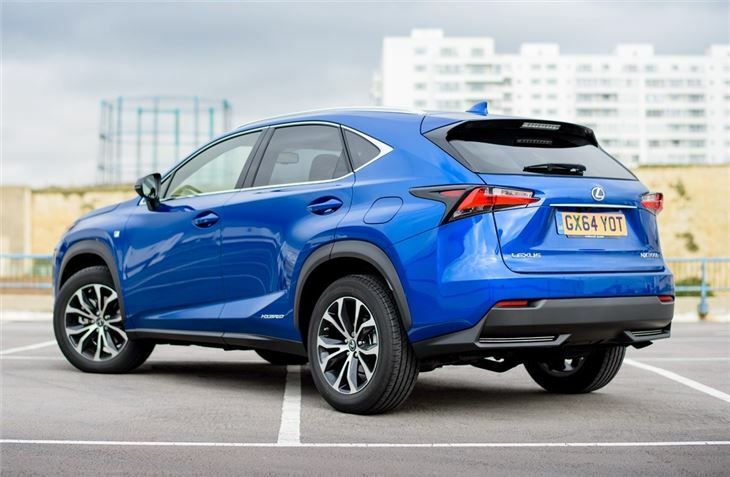 Instead Lexus offers a NX 300h hybrid that uses a 2.5-litre petrol engine alongside an electric motor. It's designed to be efficient with claimed economy of 54.3mpg in the majority of models with CO2 emissions of just 121g/km. While it looks good on paper with a total of 195PS and a 0-62mph time of less than 9.5 seconds, the NX 300h is hamstrung by its epicyclic CVT gearbox which can make for a noisy driving experience unless you're feather-footed. Even gentle acceleration is accompanied by continuous engine whine. This is a shame because engine noise aside, the NX is a good SUV. 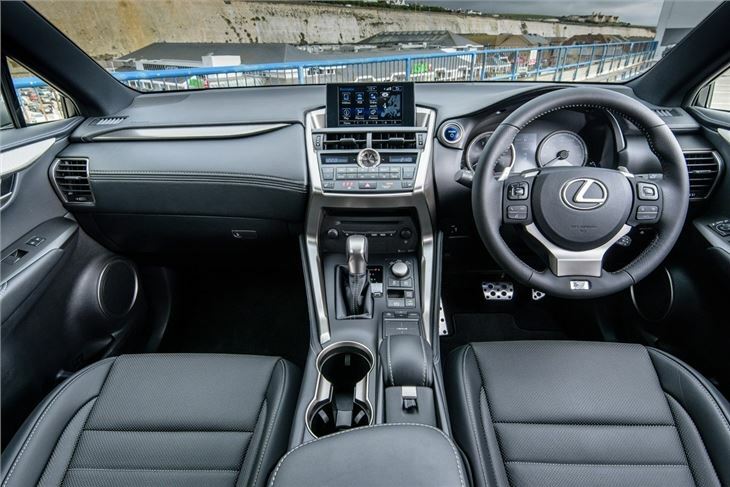 It's incredibly refined, beautifully built and has a superb quality interior. It's also spacious with good room in the back and a decent boot. 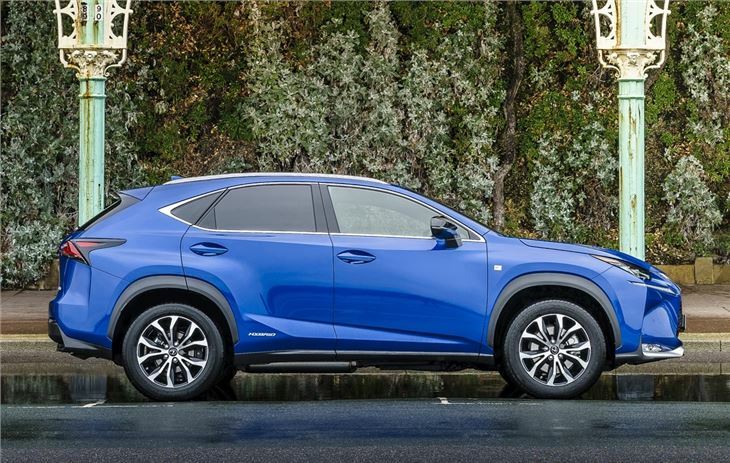 And as with all Lexus models, standard equipment levels are very high with top models coming with pretty much every conceivable bell and whistle. The NX is the first Lexus model to feature a Pre-Crash Safety system and Adaptive Cruise Control as standard on all versions. 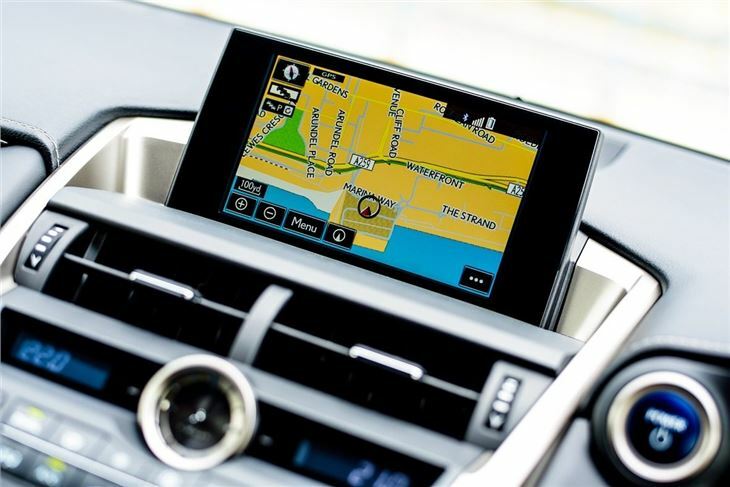 Other firsts for a Lexus include a wireless charging tray for easy charging of smartphones and a new Remote Touch Interface with a touchpad control that replaces the awkward mouse controller. However it only comes on top versions. An NX 200t model, with a new turbocharged 2.0-litre petrol with 235PS, joined the line-up in 2015 and comes with a six-speed automatic. This is available as a higher performance version in F Sport trim.